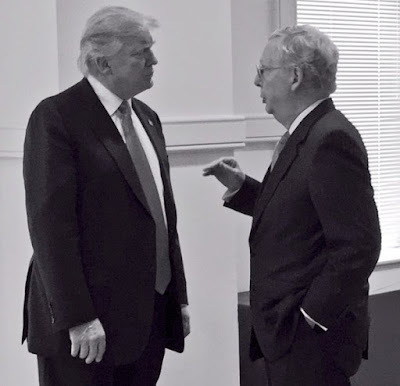 Sundance at The Conservative Treehouse tells us that Mitch McConnell is a far more urgent enemy to MAGA than are the Democrats. He is aligned with the Chamber of Commerce's Tom Donahue, who Sundance says is the leader of the Wall Street financiers who support globalist policies as opposed to Trump's focus on Main Street. Politics is an incredibly dirty business. Read more here and take a look at some of the comments.